A 15 year old autistic boy investigating the murder of a dog! That didn’t sound too promising to me at first glance. But Christopher, our protagonist, wants to write about something “real” as he cannot lie. And he cares about the dogs! Guess what, Siobhan. You were mistaken!!! Readers would want to carry on reading this mystery novel, only to discover that the murder is not the only mystery here. Even though the dog is the only one murdered, it is not the only victim. This novel is an account by narrator, Christopher Boone, of how his world is turned topsy-turvy by the death of his dog. He ventures on an adventurous and dangerous quest and manages to get the “murder mystery solved” halfway through the novel. But, instead of restoring order, this solution leads to the unfolding of such events that threaten the carefully maintained world of Christopher. Christopher suffers from autistic spectrum disorder called Asperser’s syndrome which is a neurobiological disorder. He’s a mathematical genius and a whiz at science. But human emotions are particularly complex for him. He hates being touched, even by his parents. He hates the colors brown and yellow, and if one foodstuff touches another while it is on his plate, he cannot eat it. He needs to have the world just-so…. or he will scream, hit, or moan for hours. He is at a school for “special needs”. This means he is taunted regularly by his peers, misunderstood by copious adults, and is mostly reliant on his friendship with Siobhan, the teacher who is guiding him through the writing of this autobiography. For Christopher, the desire for order and stability is a necessity of living. It is easy to feel sympathy and compassion for Christopher. We feel disappointed when those close to him fail to take his needs into account, even when they are trying to help him. And yet, the relationship of Christopher’s parents with their child and what being Christopher’s parents does to their relationship, is a fascinating subject and I think Haddon has handled it well. I felt the anguish of the parents trying to deal with a boy who doesn’t want to be touched or hugged even when in a distressed state. As we peep into the life of his parents through Christopher’s eyes, we cannot but empathize with them. I can relate to the difficulties Christopher´s mother has with him and admire the way his father deals with the situation. Christopher was loved by his parents. But life isn’t easy, money is not plentiful and opportunities are limited. Christopher’s’ investigations will cast some light on their world and on yours, perhaps. Full of faults and limited like all of us, people in this book appeared very real and very human to me as they went about coping with the world and all its stresses and trials. As Mark Haddon said in an interview I found on the Guardian website. A lucky few, like the boy and his father in this novel, manage to overcome this. The mother is overwhelmed by the situation and still we find that we cannot help but sympathize with her because she DID try her best. Only trouble was that her best was not good enough. Venue - To be Decided. Ok so the Club has had a few busy months and now its time to do some reading for the fun of it. After all, that’s the reason for the club anyway. So this time No theme. Let’s just have good cup of coffee and a relaxing conversations. Also, It’s time to review our Reading challenges that we all ambitiously made starting of 2018. Where exactly have we reached? Are we there yet? Will we ? Wont We? And I got myself the Penguin Modern Set and I am going to be getting the same along for all to see. It would be great to see , touch feel the product before actually buying it. So here is my set. Top 10 Books on DILLI! 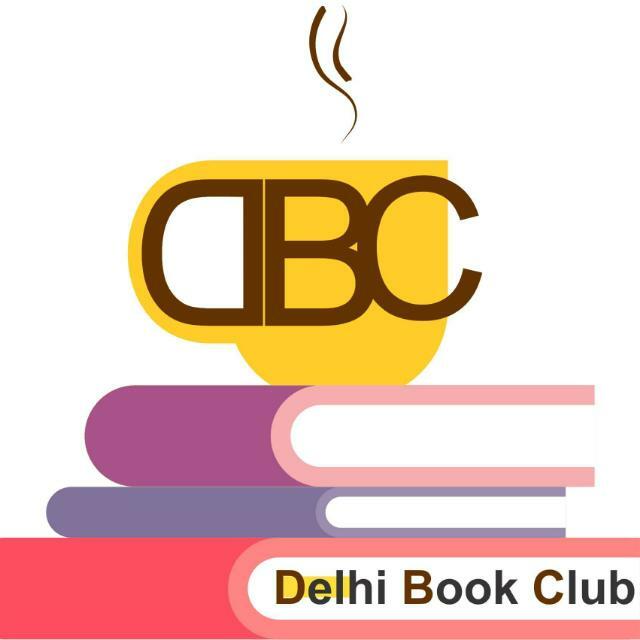 Hear people speak about their favorite Book on Delhi and you speak about yours. The book could be a Fictional piece, a mythological piece or even a historical book. Anything that is magical or not so much about the City we love or love to hate. Here’s your chance. Here are our top Ten – Any we missed out. Shout and let us know. and catch us on 21st April at 11 AM at Stainless Gallery. Here are a few pictures of the beautiful gallery which will house us. What does the perfect society look like? Its an important question without an answer. Which is strange because the question is extremely basic. We are humans and we ought to know what’s the best way to live in groups. Only we dont. The Giver explores the question in a very unique way. Through describing a safe, efficient society set in the unknown future. Through telling first about everything that’s right with it, and then everything that’s not. Told with a simplicity children can understand (it is in fact a children’s book, and like all good children’s book, not limited by the reader’s age), it’s one of the stories that gets you thinking, about a question which has no answer. Maybe to bring home the realization that some questions just do not have an answer.